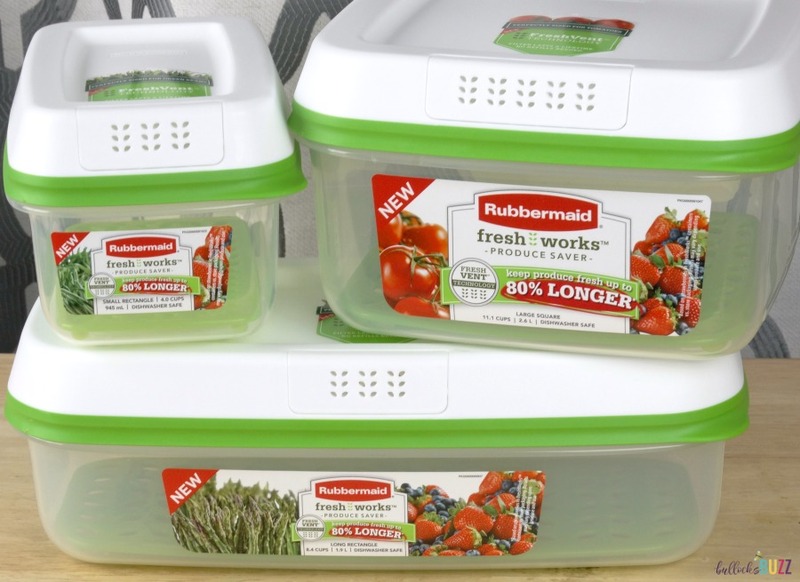 I’m always looking for ways to help fresh produce last longer so when asked to participate in a Rubbermaid FreshWorks Review, I was thrilled. Do they really work? 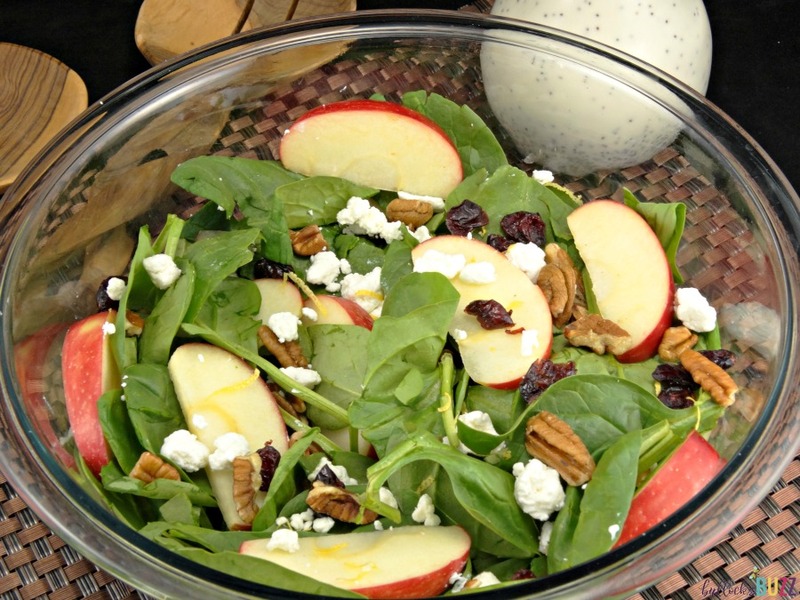 Keep reading to find out, and enjoy my Fresh Fall Salad with Creamy Poppy Seed Dressing Recipe! Be sure to enter our giveaway, too!  This is a sponsored post for SheSpeaks/Rubbermaid®. Now that Autumn is finally here, I get to indulge in some of my favorite Fall fruits and vegetables. 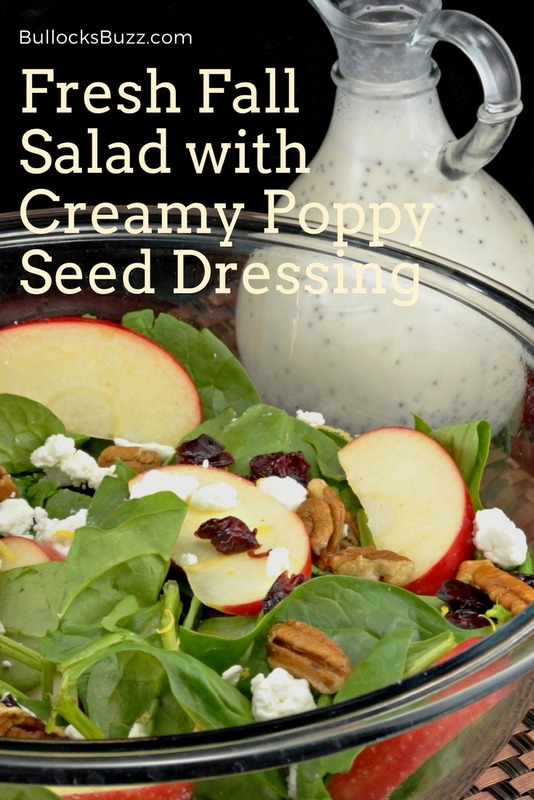 And I can make my favorite Fresh Fall Salad with Homemade Creamy Poppy Seed Dressing. My family loves fresh fruit and veggies. So much so that you will often find us either at the Farmers Market on the weekends, or in the backyard counting the days until we can harvest our tiny garden. No matter how often we eat it though, inevitably some of that produce always goes bad. And nothing makes me more frustrated than throwing out produce that’s gone bad. I might as well just throw away money! In fact, did you know that as a result of throwing away fresh produce, Americans waste $24 billion worth of produce every year?! That’s the equivalent of $192 per household! * Luckily Rubbermaid FreshWorks containers can help reduce this waste, and it’s so easy to use. 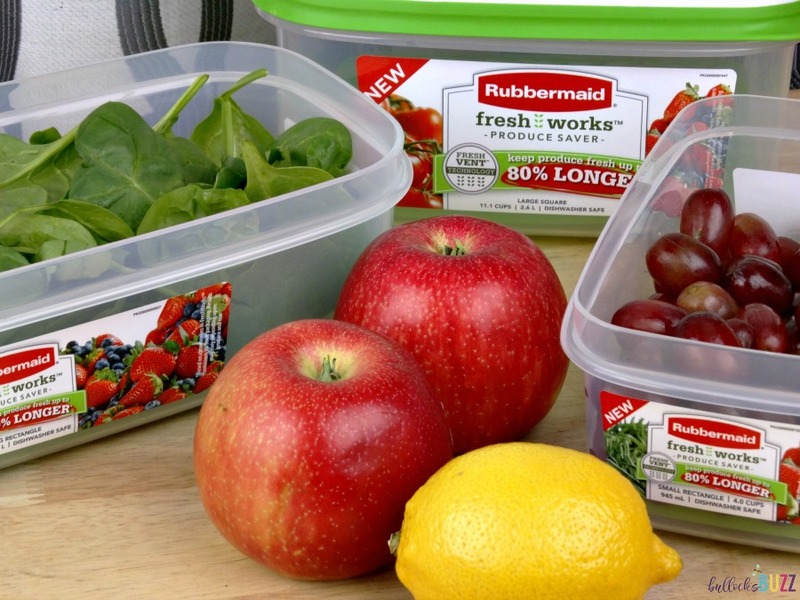 How Do Rubbermaid FreshWorks Produce Savers Work? 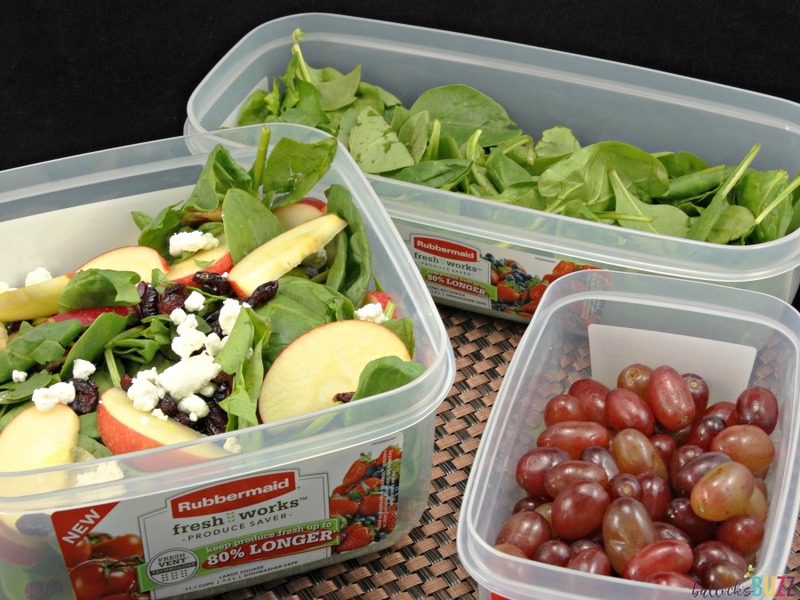 Using patented FreshVent™ technology, Rubbermaid FreshWorks containers keep produce fresher up to 80% longer** than traditional product packaging. 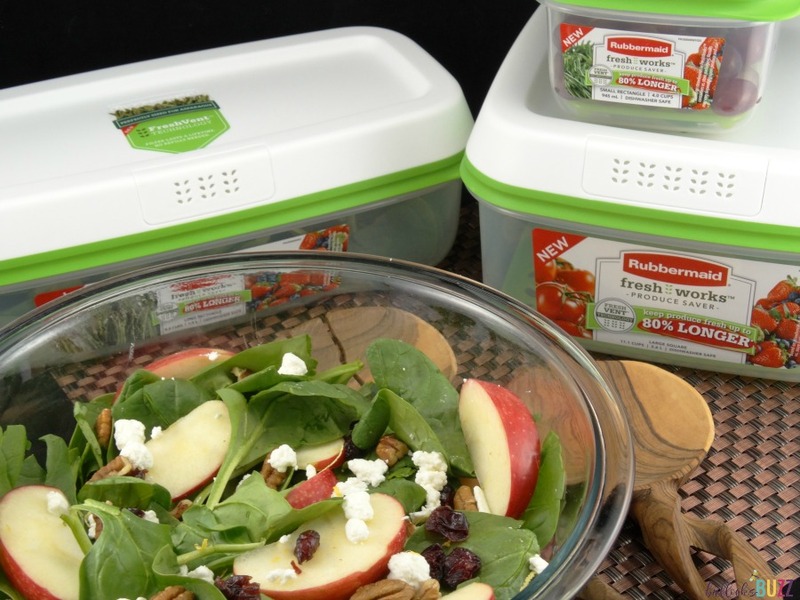 The innovative Rubbermaid FreshVent lid naturally regulates the flow of oxygen and carbon dioxide in and out of the container creating an optimal environment so your produce stays nearly as fresh as the day it was picked. In addition, the CrispTray™ in the bottom of the container elevates produce away from moisture and promotes proper airflow to help reduce spoilage. No more soggy mess! Made of BPA-free plastic, Rubbermaid FreshWorks produce savers are top-shelf dishwasher safe and super easy to use. Simply remove the produce from the existing store packaging and place it into the Rubbermaid FreshWorks containers, then stick them in the fridge. They work best if you don’t wash or cut up the produce first. And did I mention that the lid filter lasts a lifetime, so there’s no need to worry about any replacement. Since discovering Rubbermaid FreshWorks, I’ve been eating salads almost every day for lunch. 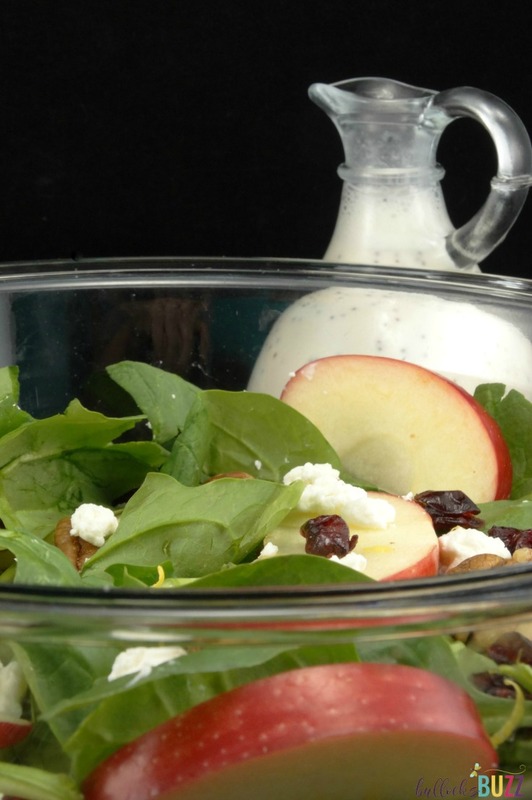 This Fresh Fall Salad with Creamy Poppyseed Dressing is one of my favorites, full of gorgeous colors and rich flavors tossed with the perfect homemade creamy poppy seed dressing. 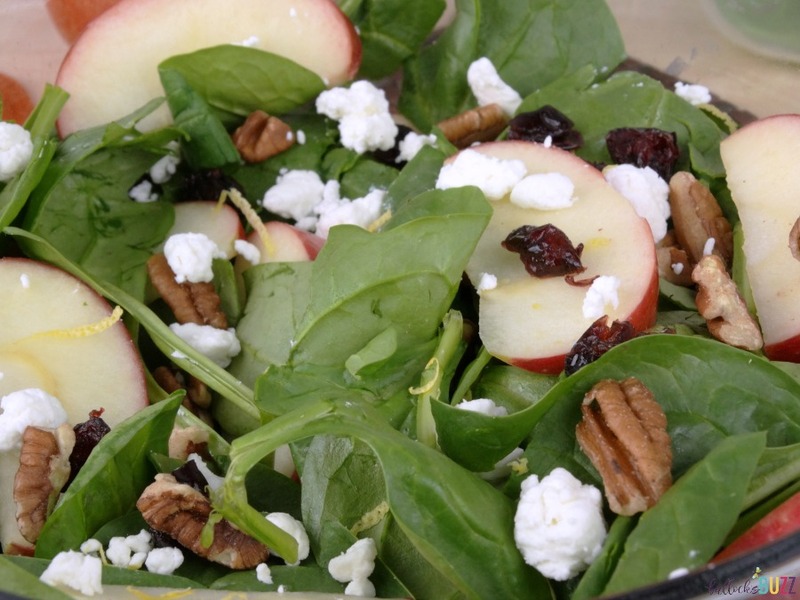 In a large bowl combine the baby spinach, apple slices, walnuts, cranberries, and goat cheese. Top with the zest of a lemon. Whisk together the mayonnaise, apple cider vinegar, milk, sugar and poppy seeds. Add desired amount to the salad and toss well. 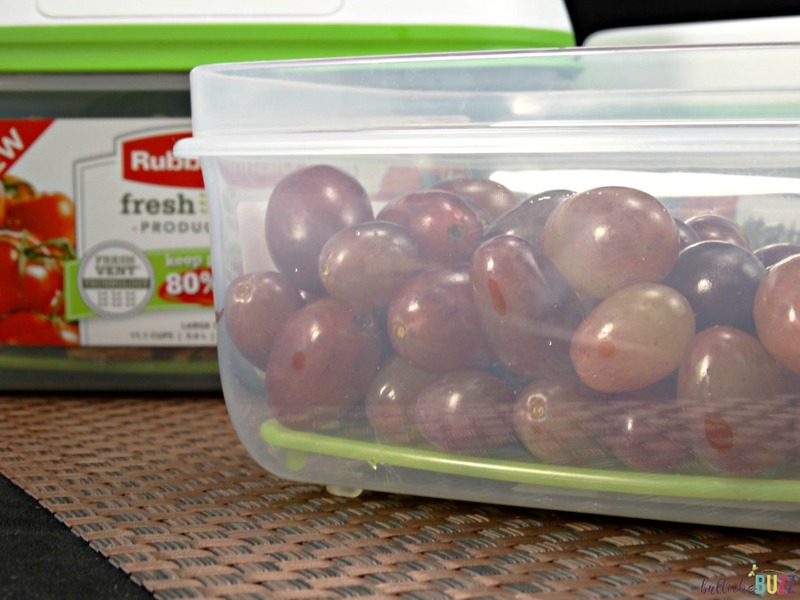 I am thrilled with my new Rubbermaid FreshWorks containers. At first I was a bit skeptical, but after trying them for several weeks, I am hooked! Fruits and vegetables have been staying fresh a lot longer, and I love how the containers stack up in my fridge perfectly. Plus I haven’t had any issue with staining so far. Rubbermaid FreshWorks Produce Saver containers are available in six different sizes making them perfect to hold all types of produce. They can be purchased individually or in sets. 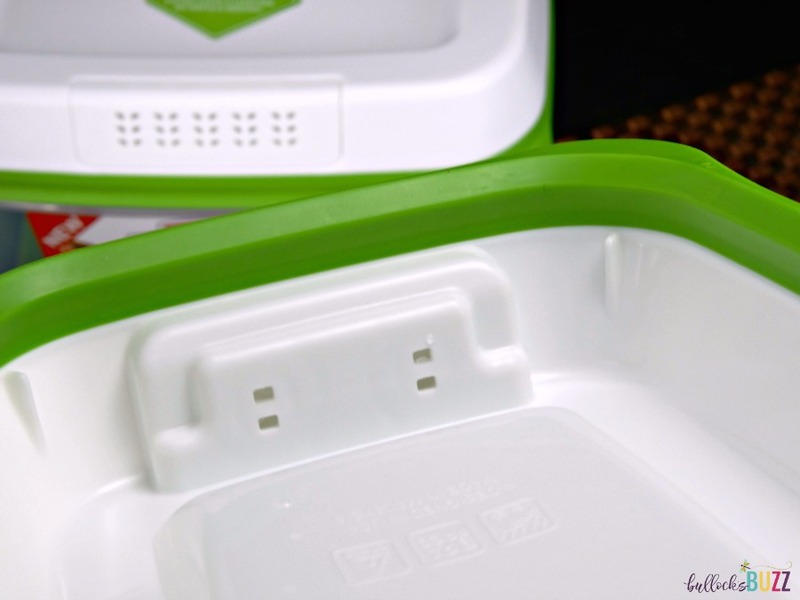 You can find them through the Rubbermaid website, Amazon and your other favorite stores! I would use them to store my fresh berries. I’d use this to store berries, especially raspberries and blackberries which don’t last very long in my fridge.